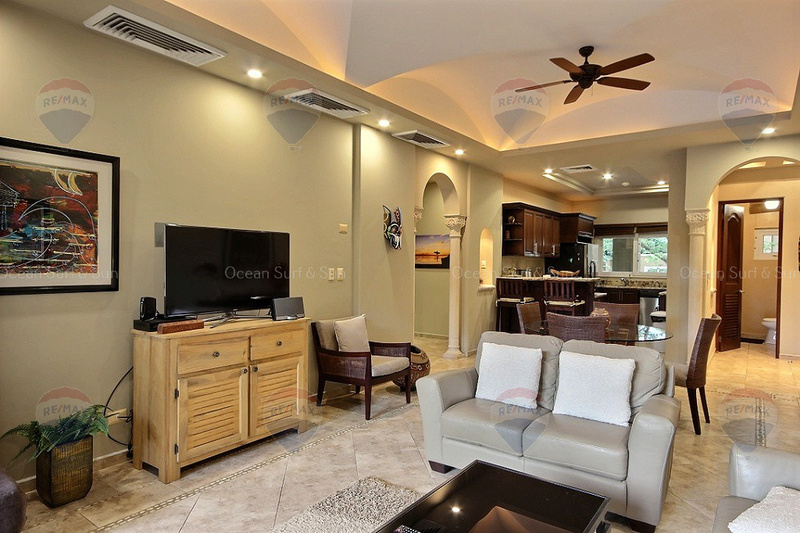 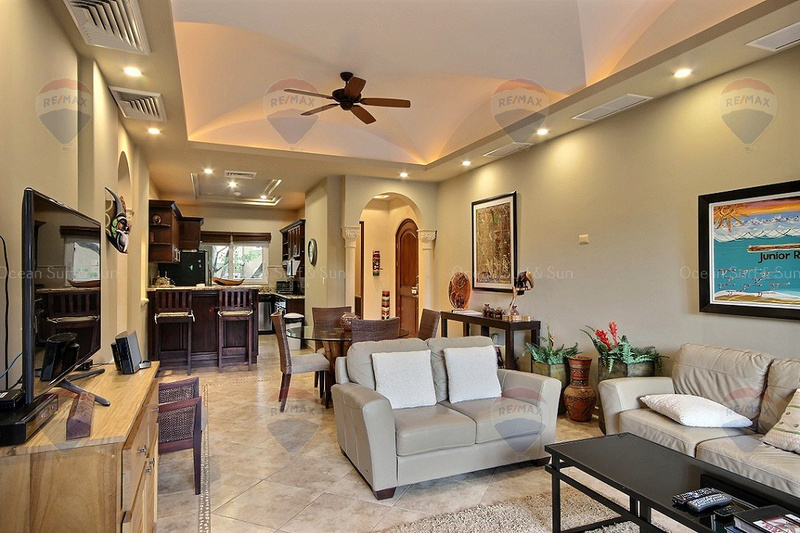 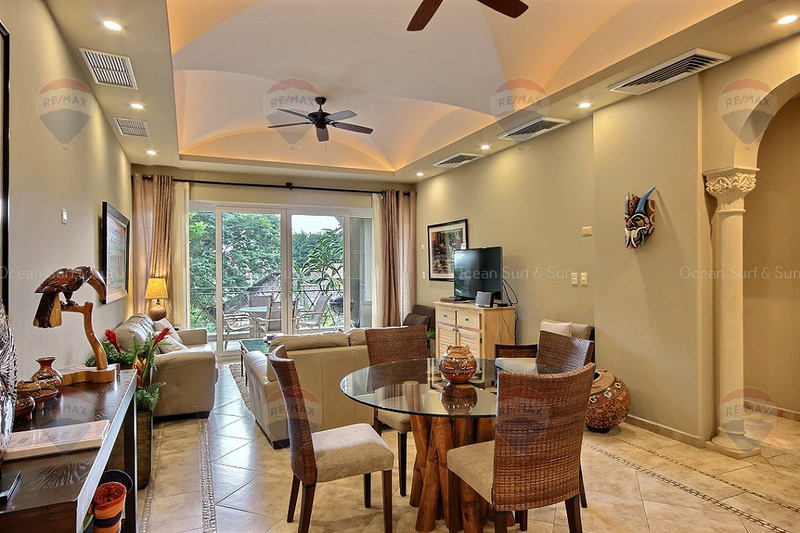 Situated in the exclusive Matapalo resort community in downtown Playa Tamarindo, this 2 bedroom 2.5 bathroom and 1.500 square foot luxury condominium offers luxury and privacy all with a prime location. 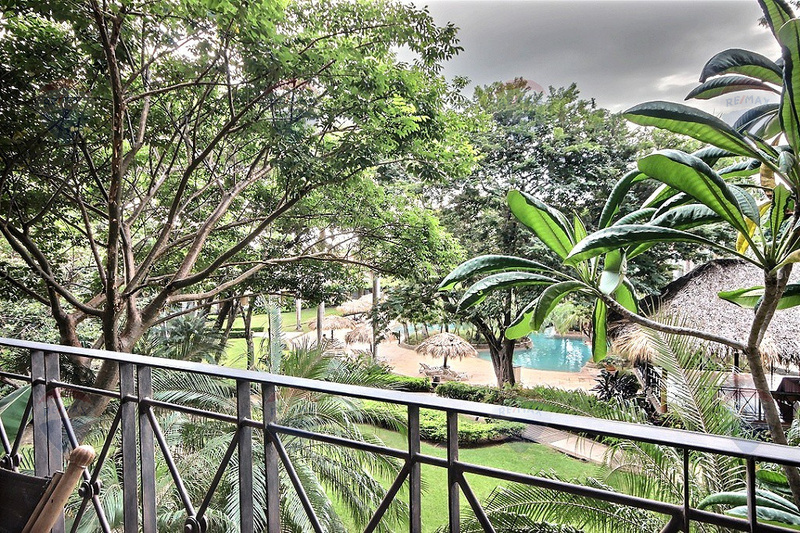 When you enter the grounds, you will know you are in a special place as you meander through lush gardens that surround an impeccably designed 10,000 square foot pool, which makes you feel like you are in a tropical rain forest. 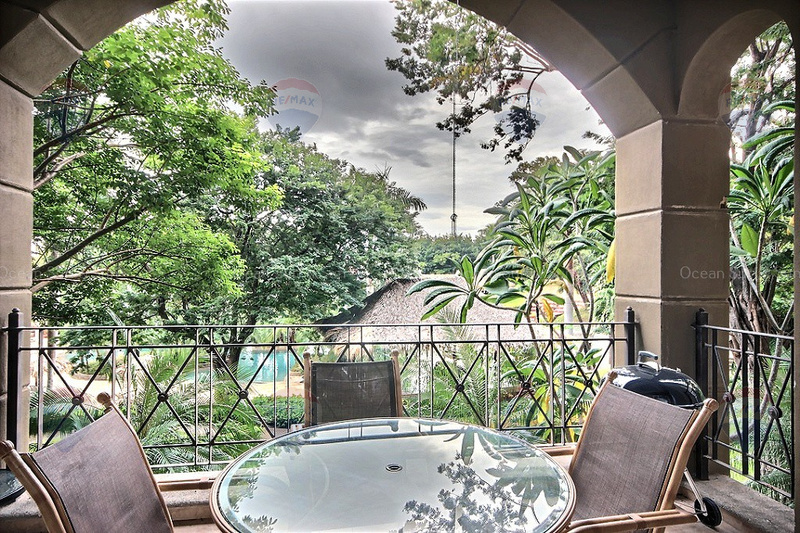 This Diria unit is a 2nd floor unit with elevator. 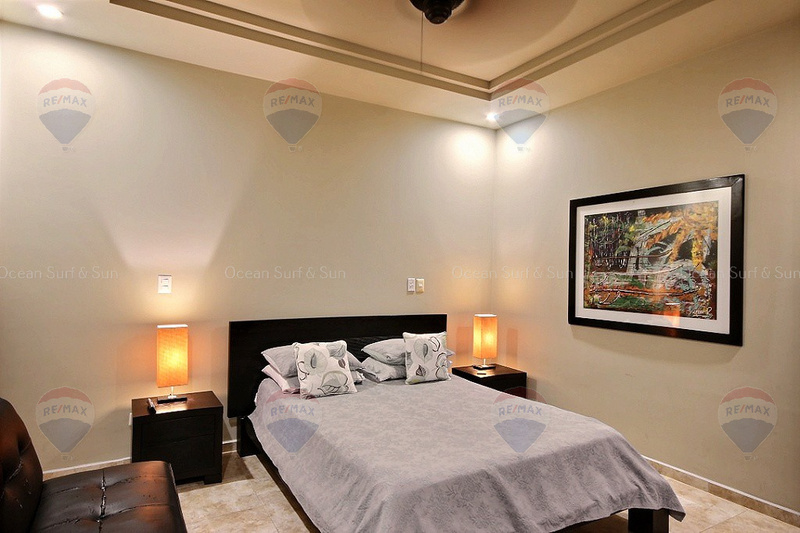 It is truly a place to relax and call home! 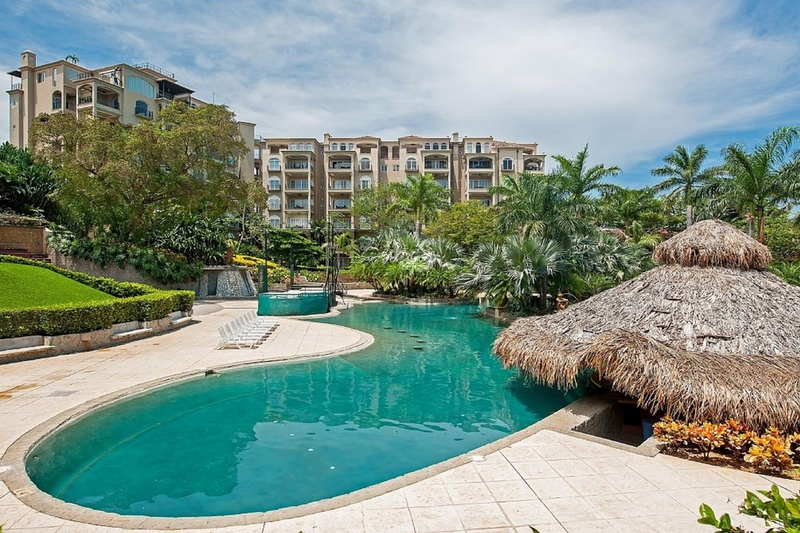 You will have access to the lagoon pool with swim-up bar directly in front of this condo, as well as many restaurants and bars, shops, and beach access through the resort. 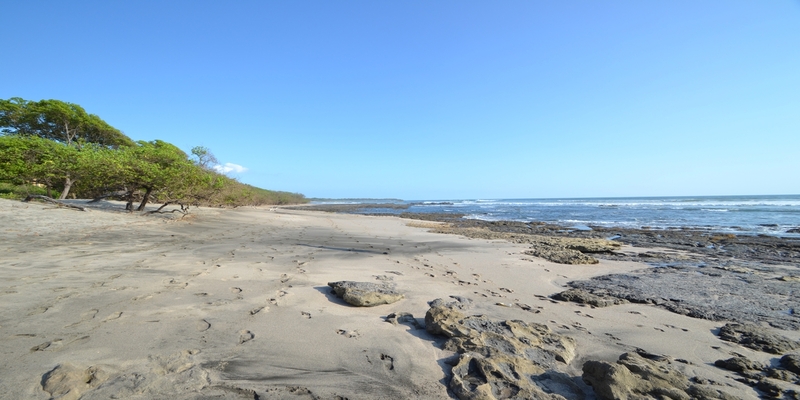 Famous Tamarindo beach is only a few steps away and you are right in town, walking distance to just about everything. 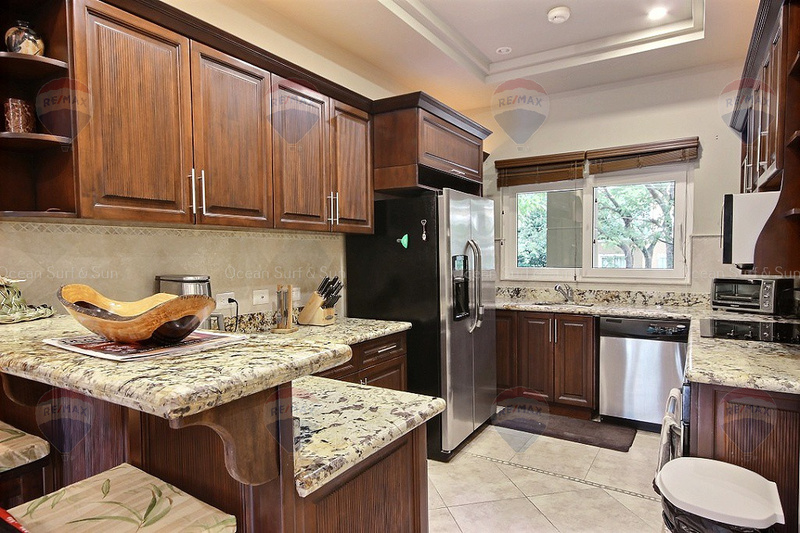 No expenses has been spared on the finishes, furniture, appliances, linens, cutlery and other appointments. 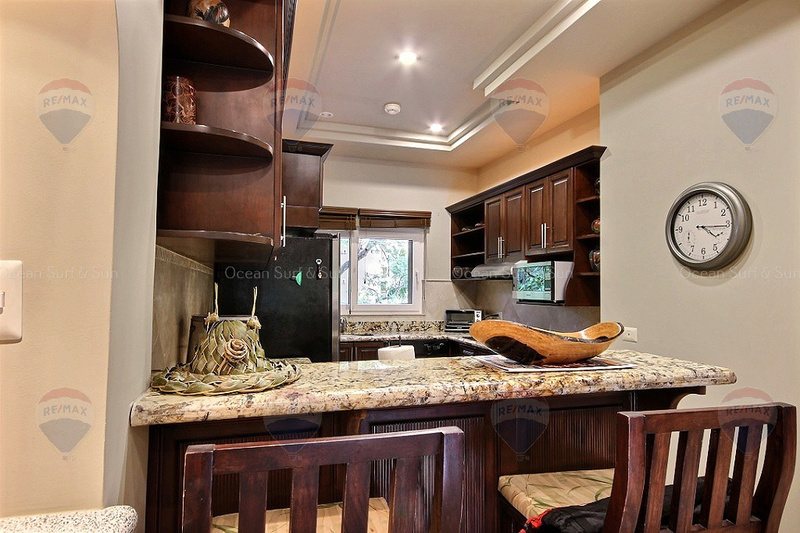 You will find granite counter tops, custom cabinetry, draped ceilings, accented tile floor, stainless steel appliances, top quality curtains, washer/dryer of course and everything else you should expect from a residence of this quality. 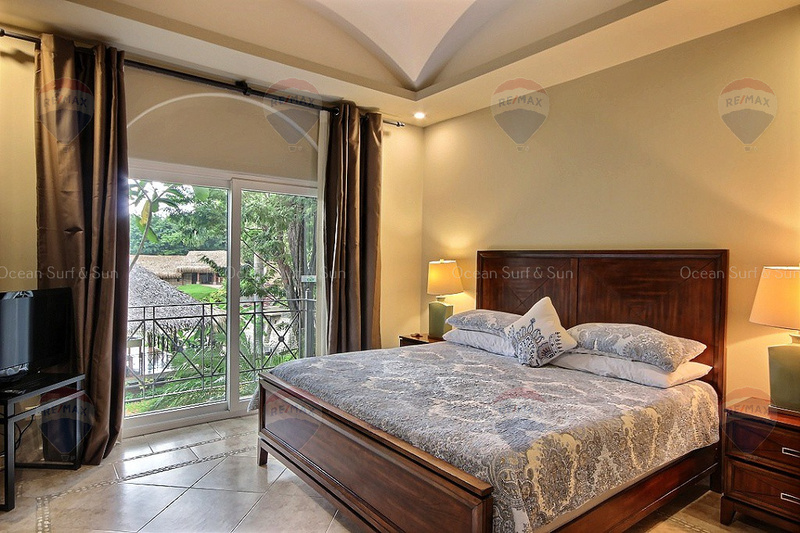 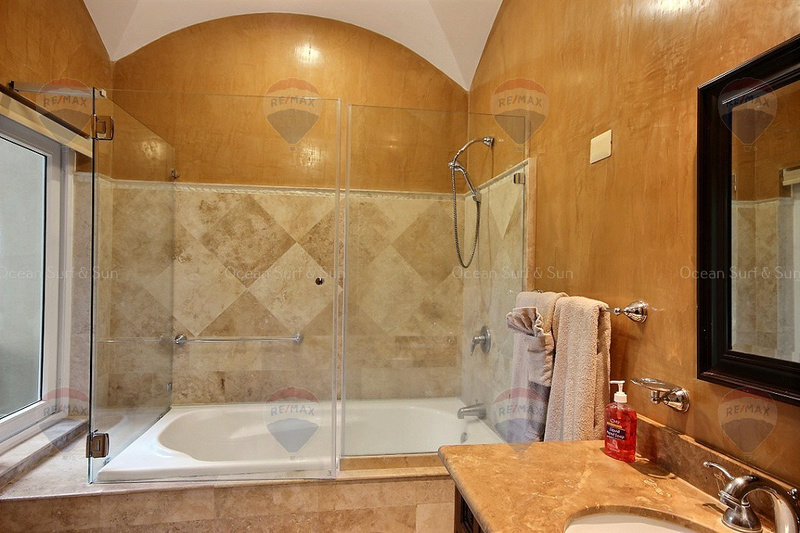 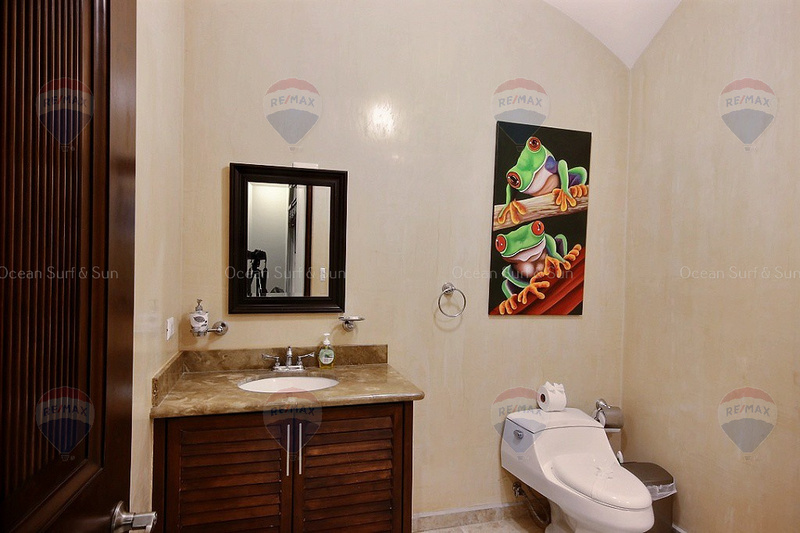 Every bedroom has its own private bathroom with travertine showers, marble counter tops, top of the line fixtures and beautiful pool and garden views. 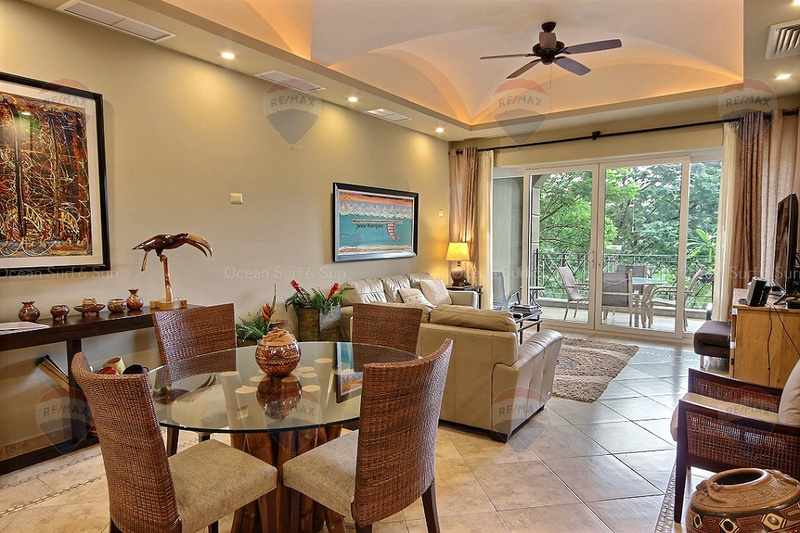 The functional floor plan has a spacious quality, perfect for entertaining as the kitchen, dining room, living room and main terrace all share the same open area.